With the itummy, you’ll be wearing the most comfortable Prenatal Support Band available. Made up of 80% Nylon and 20% Spandex Lycra the itummy makes for a Soft and Supportive Band that is an essential in your Maternity Wardrobe. Intergrated into the itummy are two soft thin speakers that are placed specifically at the bottom your belly to help guide babies head down for a safe birthing position. 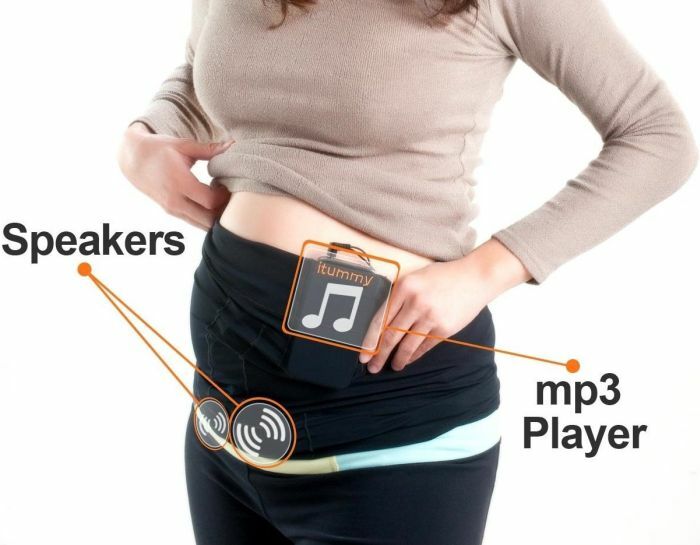 Via Mp3 Player you can play Soothing music to calm baby in the womb or even record a Personal Lullaby in your own voice using any recording device.